Nick and Giles had a much cooler car than we did. The whole idea of hitting the road and getting not only our watches but also our faces in front of watch lovers and enthusiasts was inspired by Nick and Giles from Bremont. A couple of years ago, they embarked on a East Coast road trip from New York to Texas. While I never spoke with them directly, I had spoken to enthusiasts who had caught them along the way, both on that trip as well as the West Coast one they did a year later. It surprised us how much the community got out of it, but also showed us that there is real value in forming real in-person connections with the community, which, as an e-commerce startup that pretty much only lives online, is an incredibly hard thing to do. Obviously, through this tour, customers and fans of the brand got a chance to look at and feel some of our new products, something that most microbrand enthusiasts rarely get a chance to do due to the nature of this industry. However, there was much more to it than just getting our watches in front of people, as there are many more cost-effective ways of doing that. It was our first Nodus Tour, but after reflecting on our experience over the past week, I can conclude it will definitely not be the last. In fact, the next one will be happening in just a few months, but more on that towards the end of this post. Early on in Nodus’ existence, we noticed something about the watch community on Instagram. We realized how community-driven this industry is. I remember seeing instances where one member of the community might suffer some sort of trauma, and immediately, the whole community came together to help out in any way they could, whether it is through monetary donations or watch giveaways. It is certainly refreshing to see such camaraderie and support in a world where both are relatively hard to come by. 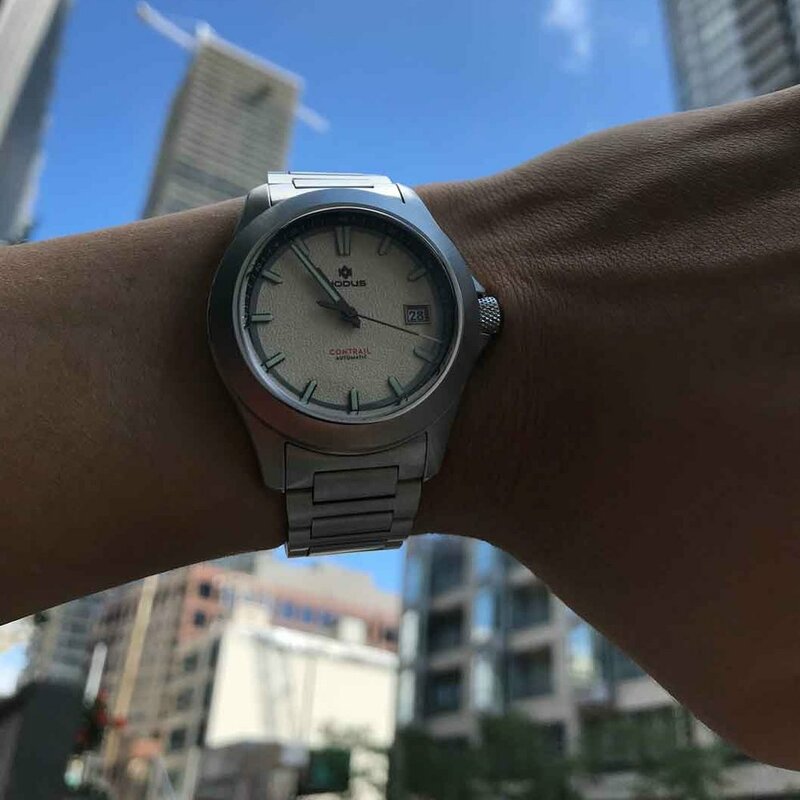 I believe that gestures such as the ones I witnessed are indicative of something much deeper than simply having a passion for watches; I believe that most watch-enthusiasts are not just passionate about watches but rather deeply care about community and getting to know other collectors on a personal level. Everyone gets into watches for different reasons and everyone continues to look for different things in their own watches, but being able to talk about it with other collectors is really what most enthusiasts want, since at the end of the day, it is a passion and people love to talk about their passions. Our purpose in setting out on this tour was to meet customers, enthusiasts, and local watch groups to get to know them all as people, rather than just a name on a contact form submitted through our website. Our customers are more than just customers–we think of them as friends. In working with the local RedBar chapters in Toronto and Ottawa, we learned that our goals aligned: to build community and connections. At the first stop in Toronto, we met up with three Instagrammers for a private lunch. One of them runs a website called furrywristabroad.com, and we did an interview with him, which can be found here. Toronto was also where the first official GTG was, during which we had over 30 people show up. It was a special GTG as their regular meetings are usually the week after we were there, so they slotted in one extra GTG for our visit. We brought some of our non-watch-loving friends who live in Toronto to the event, and one of the first things they noticed and commented on was how diverse the crowd was. I guess the general non-watch-loving population assumes that for someone to enjoy a hobby like this, one must be over the age of 60 and have a boat load of cash, yet people of all ages, genders, and races showed up just to talk watches. We even had a few curious bystanders who stopped by to show off the watches on their wrists, which is something that happened at both of the other GTGs as well. For both of our Canadian stops, the GTG was more or less organized by the local RedBar groups, but while we were on the road to New York from Ottawa, I put a post up on our Instagram story, which led to a number of DMs. We initially hadn’t planned on putting an official Nodus GTG together, but due to an overwhelming number of requests, I put together a guest list, emailed all our local New York City customers, and made a call to a gastropub in midtown Manhattan to make a reservation for a large group, all within the span of the 5-hour drive from Ottawa to New York. At the GTGs, we noticed that most watch enthusiasts share the same hobbies. If it revs, ticks, has hops, or plays music, we discussed it. On Instagram, it is hard to look at any given feed and imagine that they do anything more than collect and take photos of watches. But at these GTGs, it becomes apparent that despite having different tastes in watches, beers, music, cars, knives, fashion, and everything in between, we all have much more in common than we think; watches are just one of a few things that transcend differences in culture and background. On the the flight back to Los Angeles at the end of the tour, it was rather somber, because we both felt like we had formed genuine ties to the four cities we went to and with the people there; it almost felt like saying goodbye in each city we went through. Waking up earlier this week to the news of the shooting in downtown Toronto hit me harder than expected, especially because of how recently we were in Toronto. Without getting too much into it, I think it goes without saying that it was a sobering reminder of how fragile and complicated life can get, and through it all, we have to remember to always appreciate the little things that bring us joy and delight, whether it is music, beer, cars, and of course, watches. Many people, even seasoned collectors, always say that at the end of the day, they’re just watches, and for the most part, that is true. But I think the past two weeks have proven that they can be much more than that. We’ve seen over the past two weeks that watches, a seemingly arbitrary and sometimes redundant machine, have the power to bring complete strangers together, in a world where other devices are designed to keep us apart. That is the power of watches; that is why we do what we do and will continue to do so. Texas, see you in October. Wesley Kwok is the co-founder/operator at Nodus Watches. He is an entrepreneur by day, watch-geek by night, and a musician in the spaces in between. 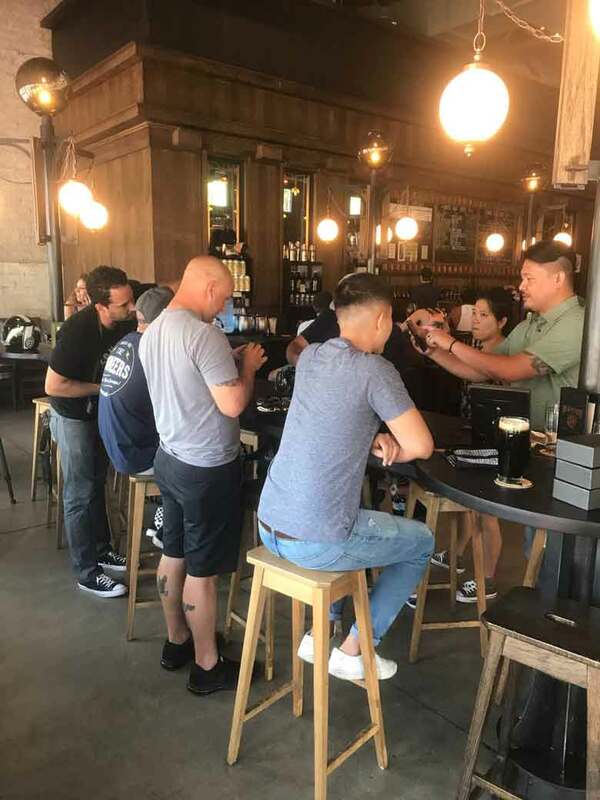 When he is not working or playing guitar, he can be found seeking out the best craft beer in California, perfecting his brioche bun recipe, or keeping up to date on the latest tech trends.